We study human exposure to air pollution in the built environment. Our research investigates the relationships between emissions, concentrations, exposure, and health effects to inform more effective strategies for reducing the impacts of built infrastructure on energy, air, climate, and health. We have a special interest in applying these insights to fast-growing regions of the developing world and to understanding considerations of environmental equity. Our research is multi-disciplinary and multi-method, spanning environmental engineering, aerosol science, exposure assessment, data science, and environmental health. Our methods include field and laboratory experiments, statistical and mathematical modeling, and data analysis. We integrate strands of each of these techniques to help develop the environmental sensing infrastructure of tomorrow: hierarchical systems of sensors and models that provide a rich understanding of where air pollution comes from, how it evolves, and who it impacts. In partnership with Google, Environmental Defense Fund, and Aclima, we are mapping urban air quality using specially equipped Google Street View cars. 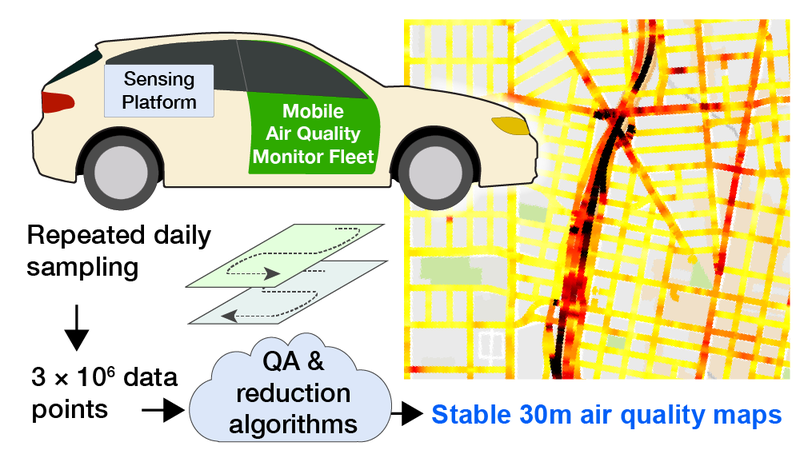 We have developed sampling strategies and data analysis algorithms to convert routine mobile air quality measurements into hyper-local maps of urban air quality at 30 meter resolution. Our recent work reports on an unusually rich dataset of gas- and particle-phase measurements for Oakland, California. 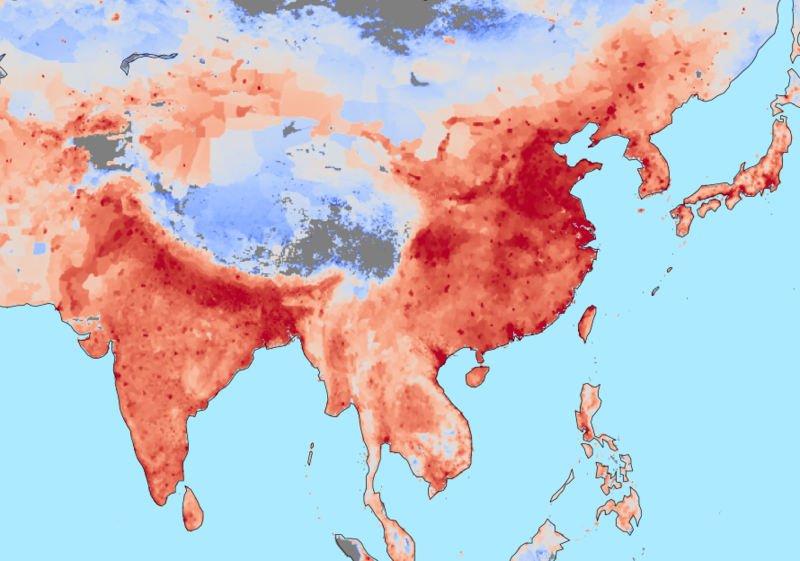 Particle air pollution in South Asia - especially across the Indo-Gangetic basin in Northern India, Pakistan, Nepal, and Bangladesh - ranks among the most severe in the world. 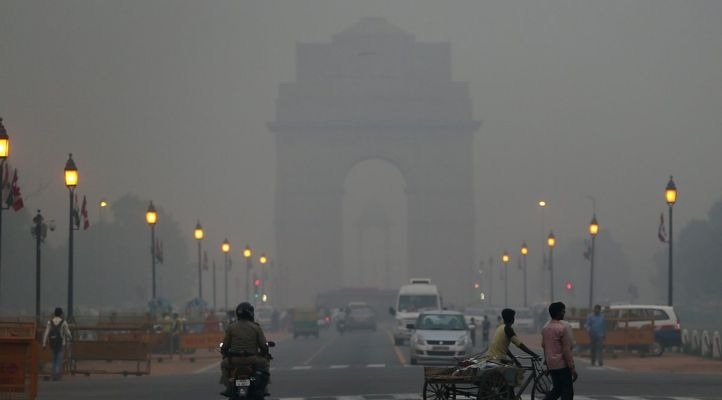 In India alone, hundreds of millions of people are exposed to PM2.5 concentrations an order of magnitude greater than World Health Organization guidelines. However, fundamental aspects of our understanding of particle air pollution in India are incomplete. To inform effective policies to reduce exposures and improve public health, we are investigating the emissions and physicochemical processes that affect particle concentrations and composition. Our research includes field- and laboratory-based experiments and modeling studies. Several of our current studies focus on Delhi. 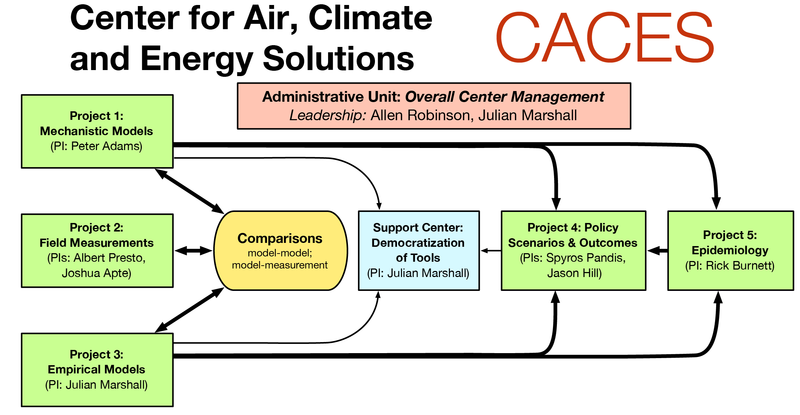 In collaboration with Carnegie Mellon University, the University of Washington, and several other institutions, we are exploring how future energy transitions in the U.S. will affect air pollution concentrations, exposure, and human health. Dr. Apte co-directs the CACES Air Quality Observatory, where we are exploring how the modifiable factors of the built environment, such as emissions sources and urban form, affect population exposure to air pollution. To do so, we are deploying dense networks of low-cost sensors and advanced mobile laboratories to characterize aerosol composition in Pennsylvania, Texas, and California cities. This research is funded via a cooperative agreement with the U.S. EPA. Ambient particulate matter (PM2.5) is a major global risk factor for ill-health and death. We investigate the potential health benefits from improvements in global and regional air quality, addressing this important question: by how much would PM2.5 levels need to improve in order to substantially reduce mortality impacts? The scale of this challenge is strongly affected by the nonlinear relationship between air pollution and mortality.